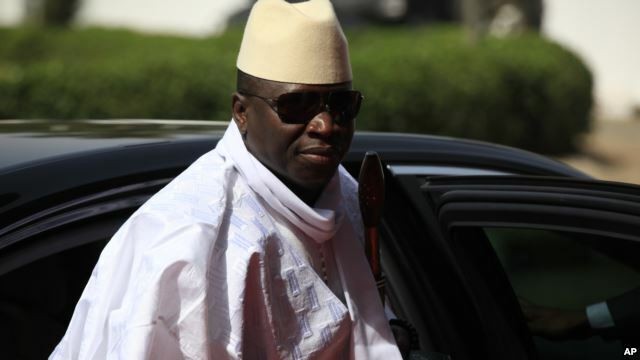 A new report said The Gambia under President Yahya Jammeh is a country in a state of fear characterized by rampant repression, torture, arbitrary detentions and enforced disappearances. The report, State of Fear, published Thursday by Human Rights Watch, accuses the government of targeting journalists, human rights defenders, student and religious leaders, political opposition, the LGBT community or anyone who dares to disagree with President Jammeh. Felicity Thompson, principal researcher and author of the report, said while President Jammeh deserves some credit for pardoning death-row inmates in July, he must do more by releasing all those who are wrongfully detained. Thompson also said the government must impartially investigate abuses by the country’s security forces and paramilitary groups. 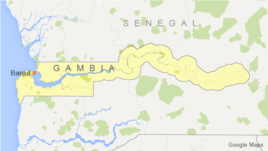 “The Gambia is a small country with very large human rights problems. Many people know it for its beautiful beaches, but beyond the tourist spot, there’s a very repressive government that for more than 20 years has created a state of fear. We found that the government of The Gambia commits very serious human rights abuses virtually against anyone who dissents,” Thompson said. Thompson said the report is based on research conducted in Senegal, Gambia and the United States between October 2014 and August 2015 during interviews with “38 victims, witnesses, and others with direct knowledge of abuses in Gambia." 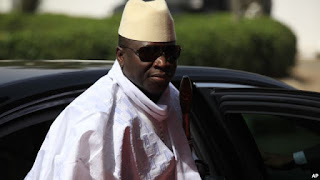 It said the country’s National Intelligence Agency (NIA), the paramilitary “Jungulers,” the Serious Crimes Unit and the Police Intervention Unit of The Gambia of being frequently implicated in abuses. “What was very striking about the research was the very palpable sense of fear. People were very afraid to speak to us. They believed they were under surveillance and that they would suffer retaliation for speaking about human rights abuses,” Thompson said. Thompson admits the Gambian government has been almost indifferent to any criticism. Still, she said the government must take steps to investigate allegations of torture or ill-treatment by state security and prosecute those who are credibly implicated in serious abuses like unlawful killings, enforced disappearances, torture and arbitrary arrests. “We have attempted to communicate with the government in Banjul; we shared our findings and recommendations with the government and offered an opportunity to reply and to input into our report. Unfortunately we didn’t hear back from the government, but we are looking forward to engaging with them, working with them on our recommendations,” Thompson said. The report called on Gambia’s international partners and other governments, including the Economic Community of West African States of which The Gambia is a member to consistently and publicly condemn abuses by the Gambian government, and raise human rights concerns directly with Gambian officials. “Increasingly, the international community is speaking out about the horrific human rights abuses in Gambia but they need to do more. Countries like the United States, countries like the United Kingdom, the European Union, they should insist that Gambians are protected from torture, illegal killings and disappearances. They should pressure the Gambian government to disband paramilitary groups who are committing terrible abuses,” Thompson said. Thompson credited President Jammeh for pardoning several death-row inmates on July 22 this year, the 21st anniversary of his taking power. But she said the Gambian government must do more. “We have seen some positive signs most recently from the Gambian government. In July President Jammeh pardoned and released over 200 prisoners and that included political prisoners also. But it’s not enough. We need the Gambian government to go further in this direction and release all of those who are wrongfully detained,” Thompson said. As has been the case in the past, the Gambian government was not available immediately for comment. All attempts to get a comment from the Gambian government failed. 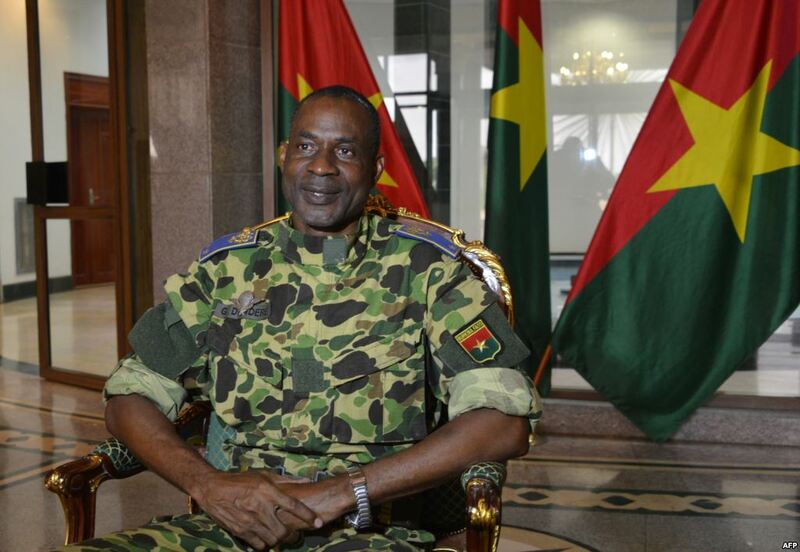 Coup leaders in Burkina Faso say they have released the country's ousted president Michel Kafando after holding him for two days — but they have not commented on the status of the prime minister, who was also detained. The coup leaders issued a statement Friday saying they have released Kafando and two government ministers they had been holding, "as a sign of easing tensions and in the general interest." They gave no details about Prime Minister Isaac Zida, who was taken into custody along with the president on Wednesday. 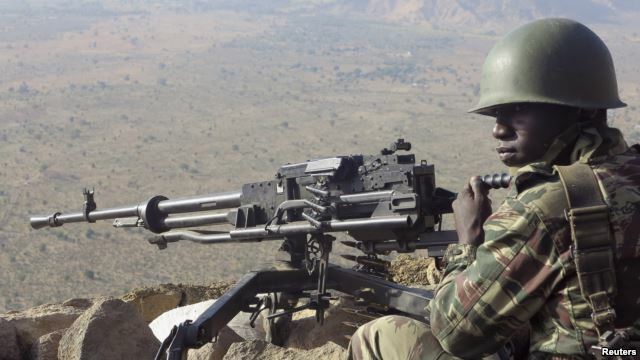 Brigadier General Gilbert Diendere, head of the country's new ruling council, spoke to VOA's French to Africa Service Thursday, a day after soldiers overthrew the West African country's transitional government and arrested its leaders. The general said soldiers staged the coup because the country's political process was biased. He said he will start a political dialogue to include all parties. Burkina Faso was scheduled to hold parliamentary and presidential elections on October 11. That date is now in limbo. The White House said Thursday that it "condemns in the strongest terms the unconstitutional seizure of power" in Burkina Faso. 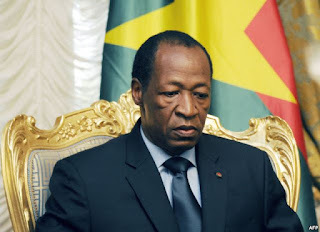 It called for the president and prime minister to be released immediately, for the coup leaders to stand down, for them to respect the rights of citizens to assemble peacefully, and for Burkina Faso to be put back on the road to October's presidential elections. The Obama administration said in its statement Thursday that it is "deeply disappointed" in the "self-interested actions of a few" threatening the opportunity for the people of Burkina Faso to hold elections and build a new future for their country. It said the United States stands with the people of Burkina Faso in rejecting "democratic backsliding." At least three people were reported killed Thursday as young protesters attempted to gather near the presidential palace in Ouagadougou. The deputy head of the African Union, Erastus Mwencha, demanded Thursday that the military leaders immediately hand back power to the transitional government. "Any government that is unconstitutional is automatically condemned because we believe in the rule of law that any change of power must follow the constitutional process," Mwencha said. He also appealed to people not to cooperate with the military takeover. An interim government took power in Burkina Faso when a popular uprising toppled President Blaise Compaore last October after 27 years in power. He had planned to change the constitution so he could extend his rule. Coup leader General Diendere is a longtime Compaore ally and complained that the transitional government barred supporters of the toppled president from seeking office. It also recommended that Compoare's powerful presidential guard be disbanded. The U.N. Security Council has demanded the president and prime minister be freed and condemned the detentions in the "strongest terms." Secretary General Ban Ki-moon said he was outraged and called it a "flagrant violation" of Burkina Faso's constitution.